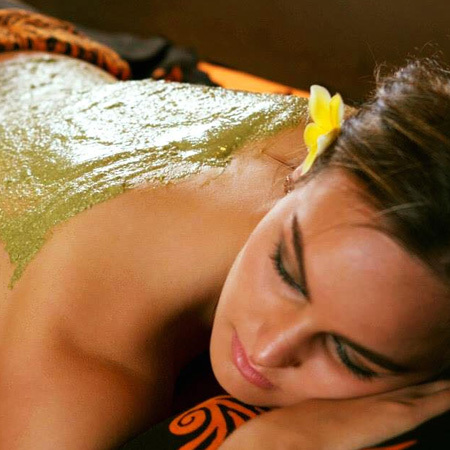 Eco Bali Spa’s natural exfoliations remove your dead skins cells and toxins revealing the youthful, healthy layers underneath. It’s the skin you’ll love to live in. Our natural body mask nourishes and restores your skin, while the soothing head and face massage will relieve any stress and tension you may be carrying with you. This treatment cleanses your ear by removing sebum. You’ve got to try it to believe it! Benefits are noticeable from the very first treatment. Your skin will feel tighter and firmer. Additional sessions are recommended to promote a longer lasting effect. We use our own unique blend which is a combination of biomarine slimming and draining cream with thermal gel and cellulite oil containing essential oils. The revolutionary G5 massaging machine helps eliminate cellulite, breaking down fatty deposits and dispersing these with excess fluid through the lymphatic areas.